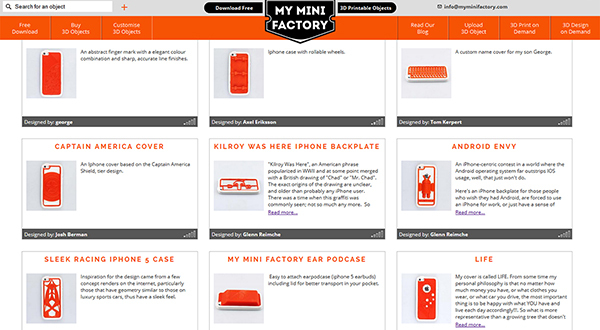 We at MyMiniFactory.com have just launched an exciting new competition, its a chance to have something you've designed 3D printed and sent to you for free! Design your own iPhone back plate, we'll print it, put it in a rubber bumper and then send it to you! They'll be hosted on our website as well, with the most downloaded designer winning a 3D printer! Edited 1 time(s). Last edit at 06/11/2014 07:31AM by ZinghZinger.